Lessons are assignments that consist of multiple pages with one question per page. The questions can be manually entered into Moodle, or can be uploaded from a text file that follows one of the acceptable question formats. 1. Login to Moodle and select the appropriate course. 3. 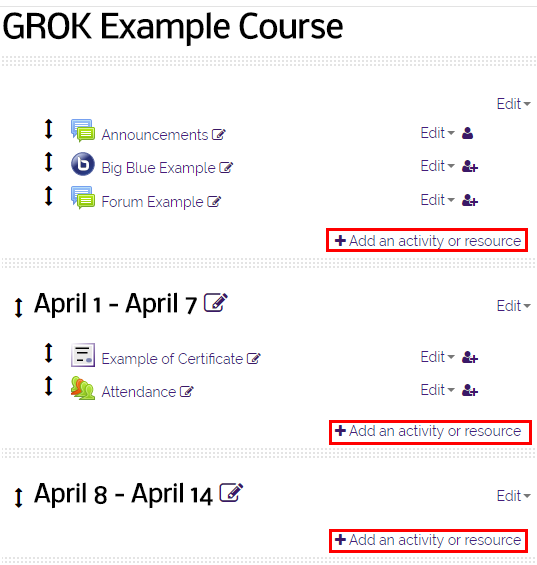 Click Add an activity or resource under any section to add the activity or resource to that section. PLEASE NOTE: There are two different ways to complete the next step depending on which view you are in. If you see two separate drop-down boxes, click Add an activity and select Lesson. For more information about this option, view Activity Chooser Options. 4. Select Lesson from the list at the left and click Add at the bottom. 5. Enter a Name for the lesson and any descriptions or notes in the Description box. 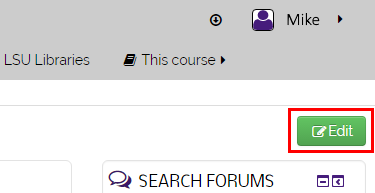 If you want students to be able to see descriptions or notes on the main course page, check the Display description on course page checkbox. 6. Set up the lesson in detail by adding questions, content, and other features through Lesson Options. 7. Personalize the Lesson in the Lesson Settings. 8. After all options are chosen, click Save and return to course. To go directly to entering the questions or lesson content, click Save and display.